For one of my website projects I wanted to create a very basic content management system. 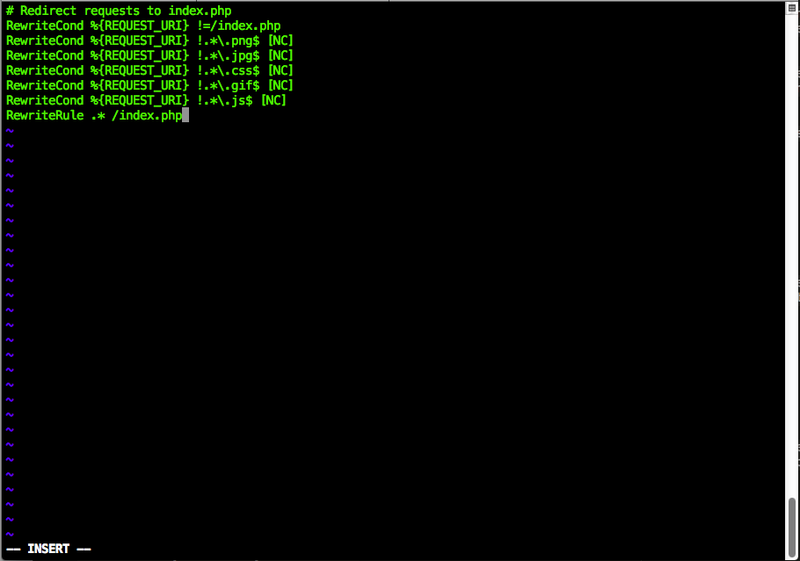 The plan was to have a header and footer template class, and include these from the ‘index.php’. The bit between the header and footer (‘content’) would then be pulled from another file, depending on the URL. The basic set-up for this kind of CMS is that all requests are sent to one script, which handles working out which files need to be included based on the request URL. If we’re using Apache as our web server, we can do this easily enough using the .htaccess file. A htaccess file (also known as a distributed configuration file) allows you to configure your web-server on a per-directory basis. One of the handy features of the htaccess file is that we can invoke server-side modules. We can use the mod_rewrite module to redirect or rewrite certain URL requests. I want to not include the ‘users’ in the url so that it is http://localhost/app/max for the user’s profile.